LOS ANGELES, CA – With decades of tradition in excellence, Stevens Steak House continues to remarkably stay at the top of Latin Entertainment in Los Angeles, one of the biggest metropolitan cities in the world. It has not been an easy task, given the amount of promotion and investment in competing locations around the city, but Latin nightclub goers continue to prefer Stevens Steak House time and time again. 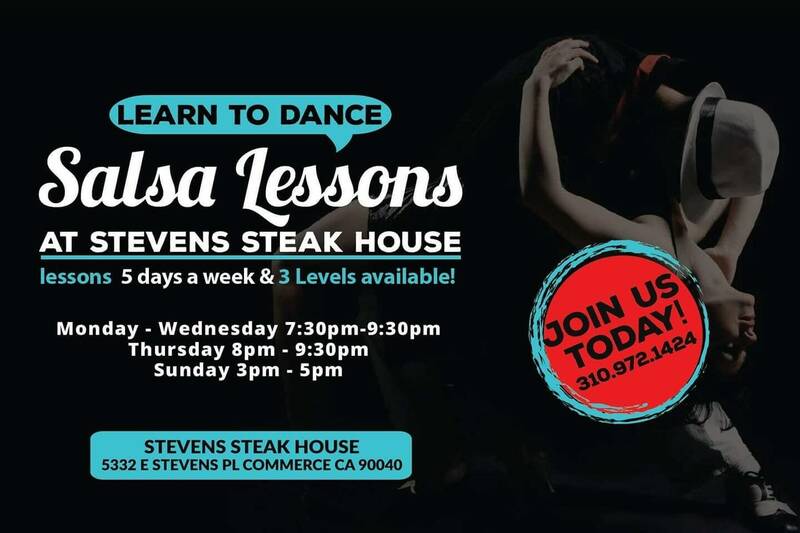 Come to Stevens Steak House and experience for yourself the quality in Entertainment that continues to make our name, a household name among those who seek Latin entertainment in their lives.